The condition of “velvet” in goldfish might sound rather prettily named, but in reality it is anything but! Velvet, or to give it its correct name, “Oodinium,” can soon take over a whole tank of fish, and have a significant effect on the health and wellbeing of your goldfish within a short space of time. Read on to learn more about velvet, how it is caused, and what to do about it. What is velvet in goldfish? 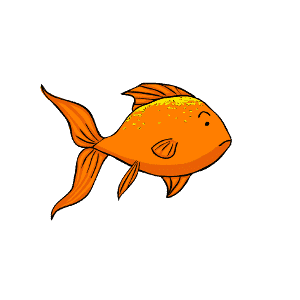 Velvet in goldfish is caused by the presence of a parasite called “dinoflagellate,” and causes the scales and body of the fish to take on a rough, dusty and slimy look that vaguely resembles the texture of velvet fabric. Once the velvet parasite is present within the tank water, it reproduces and grows by means of photosynthesis, and then seeks out fish to provide itself with a host. 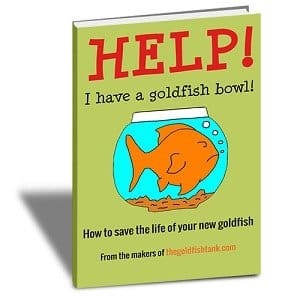 The adult parasites burrow into the slime coat of your goldfish, dissolving the cells of the slime coat and eating them, before detaching to reproduce once more. The lifecycle of velvet is just three days, and so velvet can appear very suddenly within the tank without prior warning. Velvet is one of the easiest conditions to spot in your fish, and is usually fairly obvious to even the novice keeper. Velvet usually develops quickly, and so if you suddenly spot a change in the condition of your fish, particularly if this occurs within a month of introducing a new fish into the tank, you may well be looking at a case of velvet. Velvet will usually affect all or most of the fish within the tank simultaneously. What causes velvet in goldfish? Velvet is almost always introduced into an existing tank by the addition of a new fish, or water from an infected aquarium. You can generally prevent introducing velvet into your tank by buying only healthy fish that have not been kept in overcrowded tanks, and quarantining all fish for 14-30 days before adding them into your existing setup. How can velvet be treated? Generally, there is little merit in isolating or quarantining an affected fish in order to preserve the integrity of the main tank once velvet has developed, as the whole tank will usually be affected. Aquarium salt is ineffective at eradicating velvet, but tank additives specifically designed to treat velvet are usually highly effective. These generally contain either formalin or copper, and if you have a choice, try to pick a medication that uses formalin, as copper can have a negative impact upon your fish despite treating the problem. The treatment period for velvet is usually three days, as this is the lifecycle of the velvet parasite. However, more than one treatment may be necessary if the initial treatment does not prove fully effective. 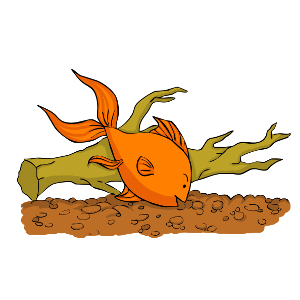 Do not introduce any new fish into your tank for at least 60 days after you have eradicated velvet, in order to give the tank and fish time to recover, and to give you the chance to be sure that you have successfully eradicated the problem.